Some fellows may not yet be aware of the death of Robert Thompson, at the age of 73. The circumstances were sad: his house was broken into on the 22nd of September. The burglar must have been shocked and horrified to find his body, which would have been in the same position since his death about 20 days previously. The burglar contacted the police, stayed where he was, and was arrested when the police arrived. The cause of death is unknown; there is to be an inquest in January. Robert became Librarian of the Royal Numismatic Society in 2010, and in the following year also for the British Numismatic Society, serving both societies in this capacity until his death. He had been Librarian for the BNS from 1966 to 1981, and was awarded that society’s Sanford Saltus Gold Medal for 1999. Robert’s passing leaves a huge hole in the world of numismatics, particularly in the field of tokens and other paranumismatica. Though small in stature Robert was a giant when it came to study and research. Much of his work was done in pre-internet times and he benefited greatly from his own vast library which fills the walls of two rooms in his house and partly occupies two other rooms as well. Having been a librarian by profession, he had a great love of books, and a passion to pass on his knowledge to others. If asked a question about a numismatic matter – a token issuer for example – he would answer as fully as he could, as like as not making use of a reference book or source many of us would not have been aware of. His large amount of written work will be his lasting legacy: Robert made hundreds of contributions to journals and other periodicals over the years, starting with an article ‘Coin collecting’ for his school magazine in 1959. He was an extremely thorough researcher, seeking information from far and wide. He was always careful to make clear the distinction between evidence and supposition. Arguably his most important article was ‘Central or local production of seventeenth-century tokens’, published in the British Numismatic Journal of 1989, in which he successfully established that the vast majority of these were struck in London, most of them by engravers and coiners working at the Tower Mint. Robert was a keen attender at International Numismatic Congresses from 1979 onwards, and contributed articles to each of the published Proceedings of these, or to the Surveys of Numismatic Research in them. For most years from 1978 he attended the journées of the Société Française Numismatique in Rouen, usually with his numismatic friends Philip Mernick and the late Tony Merson. Often after these visits they would meet up with the French jetton and token specialist Jacques Labrot in Versailles. Many of his shorter notes were connected with publication of the Norweb Collection of Tokens of the British Isles, 1575-1750. This collection – the largest ever in private hands – occupied eight volumes in the Sylloge of Coins of the British Isles series. It was published at intervals from 1984 to 2011, and will be probably be seen as his greatest achievement. I was glad to be able to join him as coadjutor (Robert’s term for me) for the project in 1990, starting with Part III, largely due to the publication of my own Seventeenth Century Tokens of the British Isles and their Values in 1986. Robert contributed the prefaces, the chapters explaining the arrangement of each part, and the large majority of all the other narrative in the Norweb volumes. In some parts there was an essay by Robert arising from a token or series of tokens covered in a particular volume, notably a masterly analysis in Part II of the farthings issued by the City of Bristol between 1651 and 1670. I became the inputter-in-chief of data, originally working from the manuscript Robert had previously compiled from his detailed study of each of the 13,000-odd tokens in the collection. Robert agreed to some amendments and additional information I could provide for the entries, and checked my compilation of the indexes. I came to know Robert quite well in the ensuing years. I found him to be a private person, but I learned much from him and found him constructive and inspiring to work with. We met on a regular basis for several hours during a day, usually at his house and with a good lunch at his local pub for fortification! He was stimulating company, especially in one-to-one situations when discussing tokens and some of his other interests, for example the topography of London and the local history of Hackney and Harrow – places where he lived and worked. I shall miss Robert and his wisdom, as will countless other numismatic students whom he has assisted over the years. 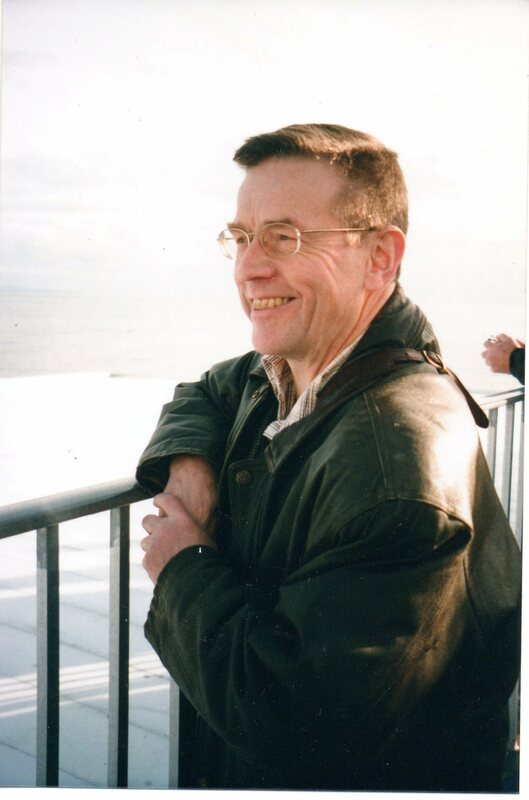 Robert’s funeral will be on 17th November at Breakspear Crematorium, Ruislip, Middlesex, at 2.45pm. Attendees may wish to find refreshment afterwards at the Woodman pub nearby.